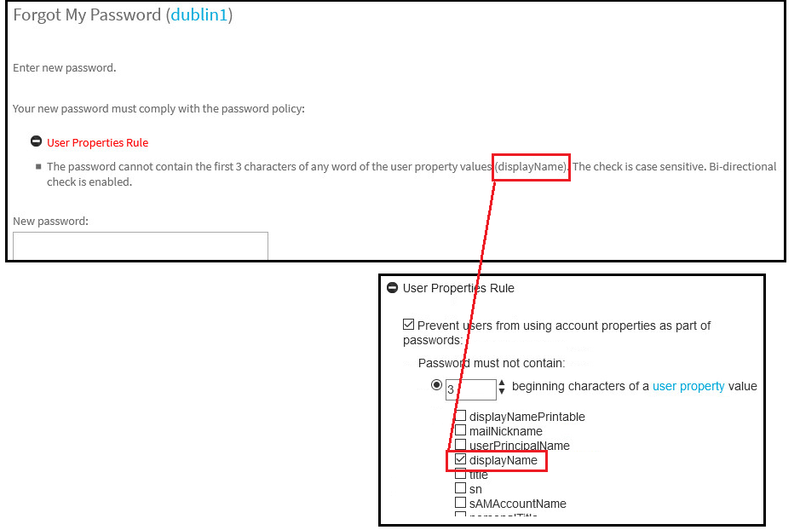 In password policies the User Property Rule is configured for a certain attribute. displayName, sAMAccountName, etc. When the user reads this rule in the PMUser site they see the attribute name instead of the value contained in the attribute. This will have no meaning for most users. Change request 105589 has been raised so that the value of the attribute can be displayed rather than the name of the attribute.